Golden leaves have started to fall. A few here and a few there. Not yet plenty. Summer breathes again. Soon it will be out of hibernation. Grass will be golden. Trees will be barren and it will be time to taste the sweet mango and melons yet again. Welcome my friend. Welcome again in 2013. We are working to embrace you. I had the coolant level of car radiator checked this morning. Servicing of the air conditioning shall be the task next week. So many things to do for oncoming companionship of old and very warm friend of summer 2013. Come home we are here. Under the flag called India. This entry was posted in Humour, Life and tagged 2013, Friend, Heat, Summer. Bookmark the permalink. Very nice. Your thoughts carried me to the passing of seasons here. Such a beautiful thing, to watch the world unfold endlessly. Sometimes i can almost relive the grandeur of these moments that I felt when I was a child, those moments when the gods were present in their pristine beauty. Have a good weekend, my friend. Above all it is also reflective of coexistence. The manner in which they change the baton. Summer presently during noon will completely take over in few weeks and springs would disappear. 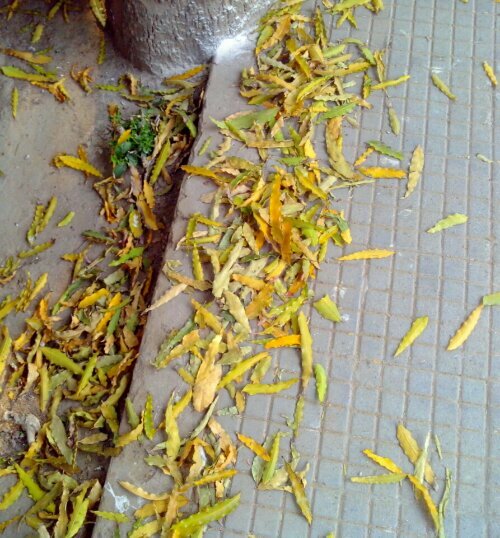 There after rains will disrupt summer and Fall will eventually take over, displacing both.